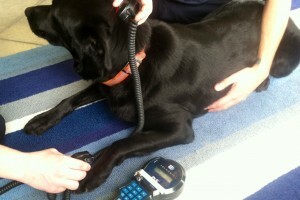 Holistic Veterinary Medicine is the examination and diagnosis of an animal, considering all aspects of the animal’s life (rather than individual symptoms) and employing all of the practitioner’s senses. When a holistic veterinarian sees a pet, in addition to employing a comprehensive physical examination, the practitioner takes into consideration other factors that may influence a pet’s health and healing such as medical and dietary history, environment, emotional stress and lifestyle. Holistic Veterinary Medicine is a “well-rounded” and integrated approach that often involves combining conventional and alternative (or complementary) treatment modalities. Abe waits patiently during a therapeutic laser treatment to speed healing of a lick granuloma. 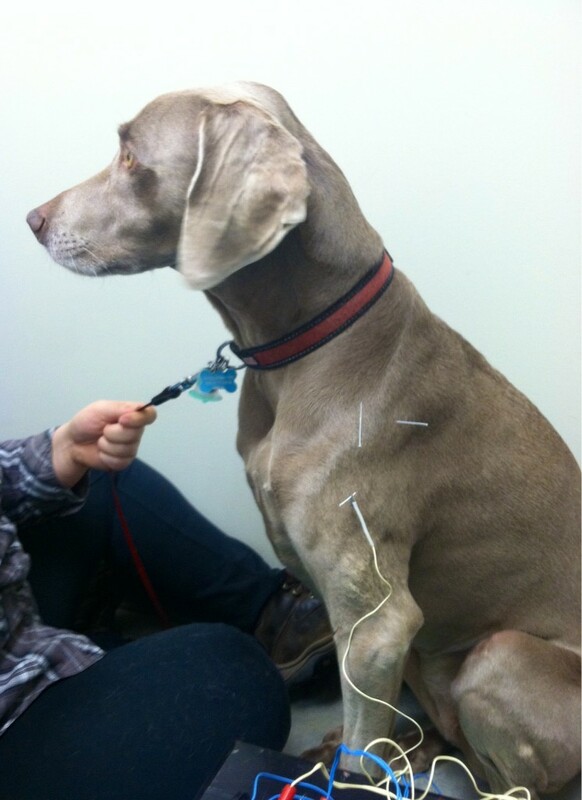 Maddy doesn’t mind having acupuncture to treat her shoulder pain–as long she receives plenty of attention. Holistic Veterinarians are interested in genetics, nutrition, family relationships, hygiene, and stress factors. When a patient presents as ill or injured, the challenge revolves around determining the underlying cause. By a series of analytical observations and appropriate testing, the goal becomes to identify the true root of the pathology. What appears to be a simple symptom often has several layers of causation. Only when the true cause of the ailment has been found is there possibility for a long-term recovery. Riversong Veterinary Clinic is a member of the American Holistic Veterinary Medical Association (AHVMA).